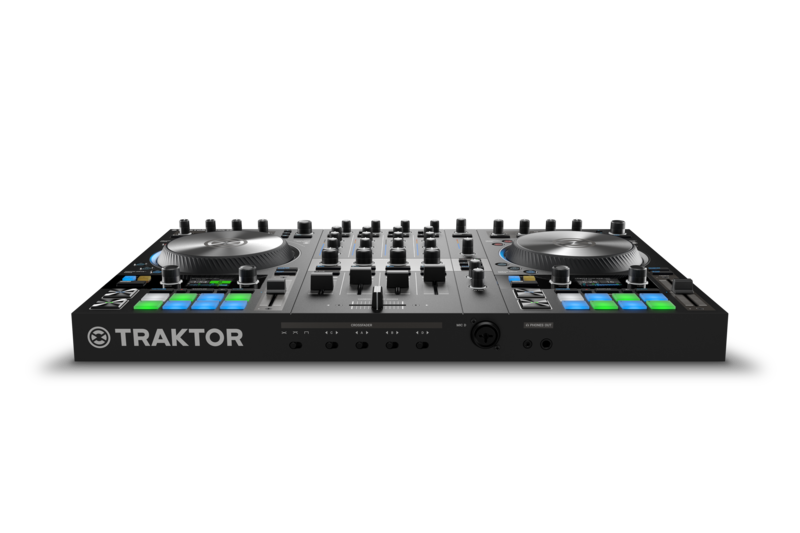 Native Instruments have announced a new version of their DJ software Traktor Pro and their S2 and S4 controllers. Last majorly updated in 2011, Traktor has had a mainly GUI update with some under-the-hood updates such as a new élastique time-stretching algorithm and new FX DSP for higher quality effects. There's now also the familiar one-knob that can control both filter and effects, changing the sound depending on left or right rotation. For anyone running sound through Traktor, it now has a pure bypass so it's not affected by Traktor Pro's internal mixer. 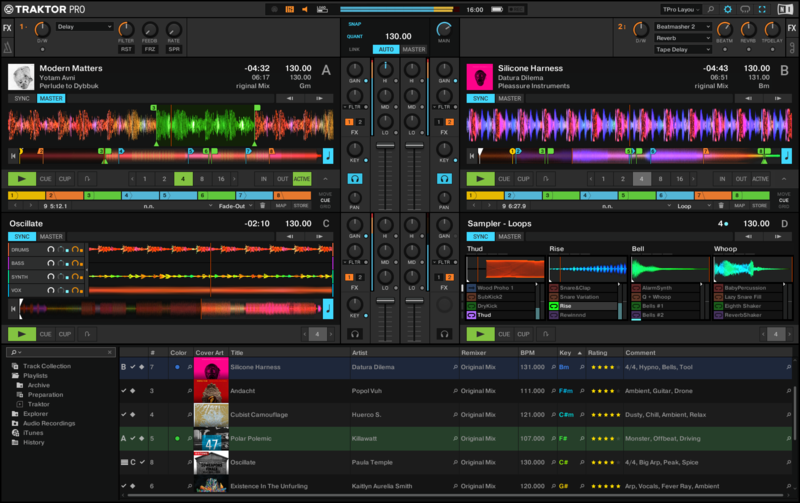 Software-wise it might not be the update we were waiting for, but as was announced a few months ago and re-iterated today, NI are currently undergoing a major Traktor re-build, re-coding the software from the ground up. Hardware-wise, NI have also announced the MK3 versions of their popular S2 and S4 controllers, both of which have seen a major refurb. The main addition to the S4 is the new Haptic Drive feature that introduces physical feedback using Jog, Beatgrid and Turntable modes. The jogs vibrate in different ways depending the mode you're operating in, essentially allowing users to detect things like cue points, and at some point even track energy, based on jog vibrations. A new high-resolution display shows all the track info and there's also DVS compaitble inputs for all versions of Traktor. New RGB pads also offer more performance features. The S2 on the other hand has dropped its FX controls in favour of increased jog wheel size – both the S2 and the S4 have also added an extra USB A port round back to hook up another controller such as the F1 or to add a USB stick with music. The S4 MK3 will cost £719, the S2 will cost £239 and the Traktor Pro 3 software will cost £89. All will be available 2018 Q3.